CitizenCard is a not-for-profit organisation that works closely with schools, charities and trading standards across the UK. we run the 'No ID No Sale' campaign which main purpose is to prevent under-age sales. Please note our free cards programme is operated in partnership with schools and colleges only and is not available to individual applicants. We have worked with schools for many years issuing tens of thousands of proof of age & ID cards for free to students through schools and colleges. Students use the cards to access cinemas and other age-restricted venues. In addition shop owners in the area know that students carry proof of age card and can easily insist on seeing photo ID when young people buy age restricted goods. We work with a large number of charities across the UK supporting vulnerable and homeless people who don’t have a form of recognised ID. We offer the charities discounted photo ID cards and we also encourage people who do have official photo ID, such as a passport, to keep that somewhere safe and carry a CitizenCard as ID instead. We work closely with our local charity Ace of Clubs, which provides essential services for homeless people, such as showers and a launderette, and a nice meeting space for people who have nowhere else to go. We produced urgent cards for Sharon and Sean so that they could register their intention to get married with the local council. 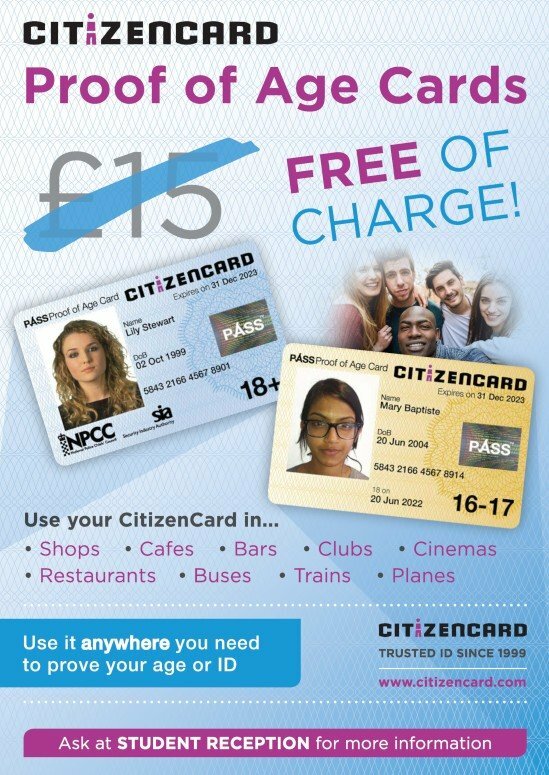 "The CitizenCard was a total lifesaver! Getting it meant that I could attend a job interview." 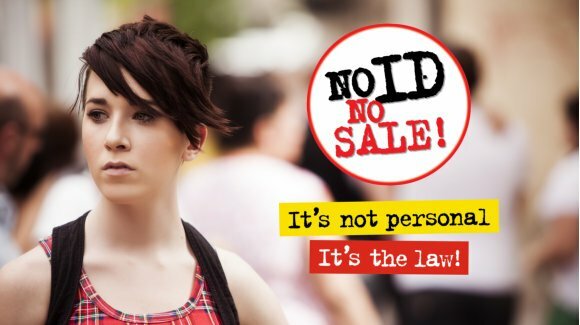 CitizenCard runs the 'No ID No Sale!' campaign which provides retailers with information packs and advertising materials to prevent under-age sales of tobacco, alcohol and other age-restricted goods. We produce and distribute the materials to individual shops and to trading standards offices across the UK. For more information please visit No ID No Sale website. If you need your card right away, make an Urgent application and post it by Special Delivery. Check whether your referee is acceptable as Route 1 or a Route 2 professional person. Check whether your referee countersigned your form, passport quality photograph and (if applicable) a copy of an official document confirming your identity. Make sure that your referee can be contacted by phone during office hours at their place of work.